Shopping is an art by itself, to have an amazing experience one needs to perfect the style of bargaining and getting a product at a price that is a win-win situation for both the Buyer and Seller. Roadside stalls, bazaars, and markets have dotted the Indian landscape since time immemorial and even today, in the age of malls and showrooms there are many such areas that are exclusive to street shopping. These are shoppers delight as they are a feast for every shopaholic soul in terms of affordable yet quality products. We at NEWSAURCHAI bring to you a list of such places in the metros of India that are a must visit for the shopaholics out there! Well, the Fashion-Financial capital of the country is a shoppers place to be! Linking Road and Hill Road in Bandra are treats to your wardrobe with a wide range of clothes, accessories, and footwear. While Bandra treats your wardrobe, Colaba Causeway is a feast to every carnival-lover and Chor bazaar is a collector’s paradise. And for all the foodies out there, Javeri bazaar is a delight to the taste buds in the form of all the exquisite flavours of India. The country’s capital, apart from its display of history, has some historical shopping markets that please every shopaholic. While Chandini Chowk and Karol Bagh are famous for a luxe and bridal apparel, the Hanuman Mandir Market is well known for Bangles. 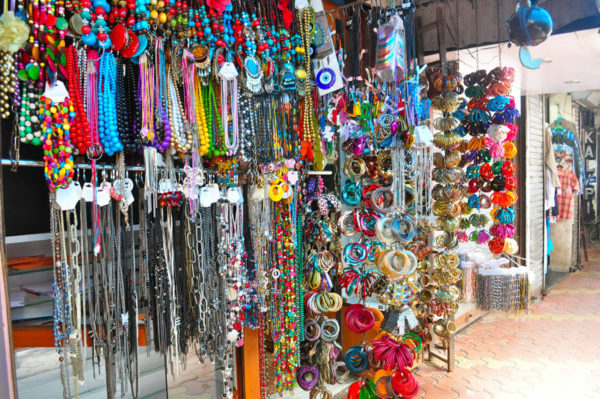 For shoppers who are looking for handicrafts, they should definitely visit Janpath and Dilli Haat as they can find “Rang-Birangi” (colourful) desi handicrafts. 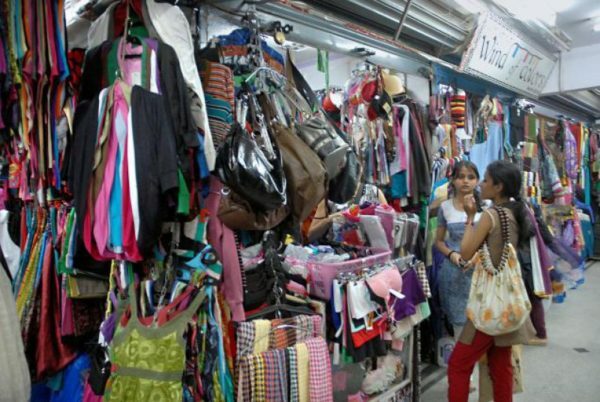 Greater Kailash and Sarojini Nagar market are places to be for rock-bottom priced clothes and call yourself lucky if you find an export-plus at almost half price. If you are the one who can’t handle too much of the capital’s heat then Palika Bazaar, an underground air-conditioned market, beckons you from desi to imported stuff. It’s all under one roof or should I rather say ground? If you are spice-lover then make it a point to visit Khari Baoli and lose yourself in the aroma of spices and history. This city of sweets is savoury for all the shopaholics, anyone with amazing bargaining capabilities is sure to strike a deal with vendors in Esplanade and Gariahat. From clothes to accessories, it’s a girl’s paradise. Whereas Metro Market holds a floor exclusively for footwear while Hog market in Esplanade is well known for lingerie. It’s a foodies haven and streets are lined with shops that sell mouth-watering food. The Traditional capital of the country boasts a whole street of shops selling every fabric from cotton to silk in every hue and texture. 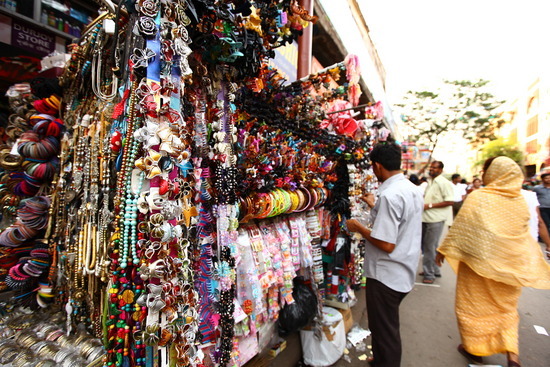 Ranganathan Street lined with jewellery and textile shops has numerous street vendors. 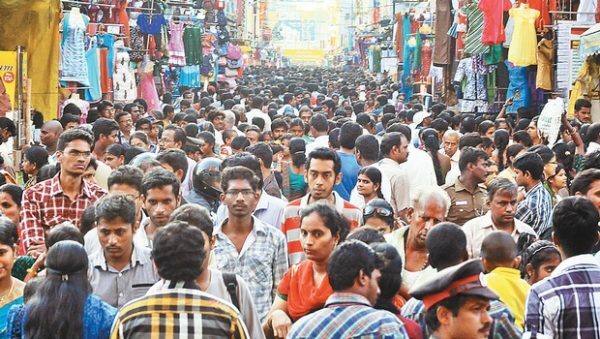 In the same vicinity is Pondy bazaar, lined with both branded outlets and petty sellers, selling everything from used books to clothes and footwear. While Richie Street boasts of its exclusivity in computers, mobiles and the likes of every other gadget, Burma bazaar near Beach Station is famous for everything that spells “imported”. Pantheon Road with its cotton street is well known for selling different kind of fabric and Sowcarpet is a synonym of wholesale, every accessory, cosmetic or clothes that you purchase are at wholesale prices but at times the quantity has to be wholesale in order to hit a good deal. The city’s commercial street resembles Chennai’s Ranganathan street where one can find everything from a pin to the plane (yes, it does have lots of toy stores). 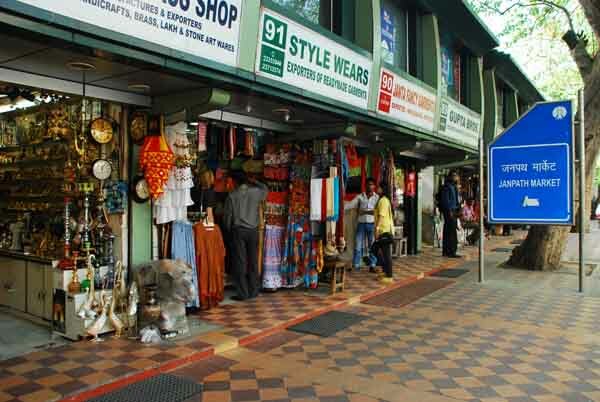 Chickpet is well known for wholesale clothing and Balepet located nearby is famous for locally-made musical instruments and bangles. Avenue road which is also close by is a bookworm’s paradise among its other shopping attractions. Dubai plaza is a must visit for all the budget fashionistas, the Tibetian plaza has every kind of clothing one would ever need. Apart from these the Jaynagar shopping complex and Gandhi plaza are places that every shopper has to be for you will find something new with every visit. Apart from these metros, places like Goa and Jaipur too are amazing places to shop. 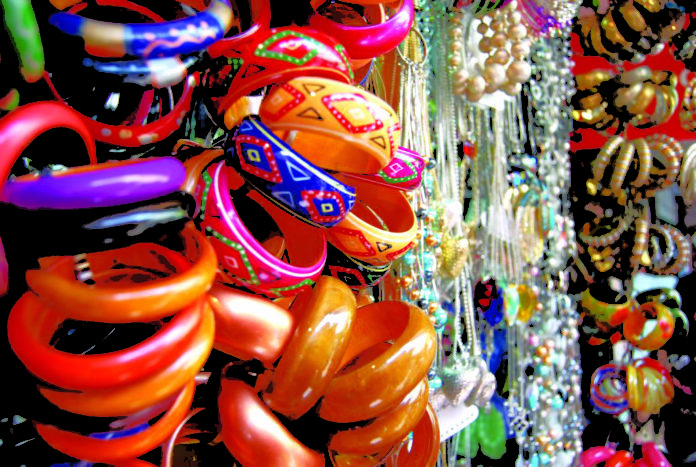 Goa’s daily flea markets selling bags, clothes, jewellery and above all Goan spices and delicacies; Jaipur’s exquisite collection of colourful turbans, Mojaris (shoes) bandanas, and jewellery beckon every shopper. How to overcome a real bad Breakup?